How long will that TEA ethics investigation of HISD take? Could be months, but they don’t really know. The state investigation into allegations of Open Meetings Act and procurement violations by some Houston ISD trustees could last months, a top Texas Education Agency official said Saturday, potentially leaving the district and its superintendent search in limbo. At a town hall attended by about 50 people, TEA Deputy Commissioner of Governance A.J. Crabill said state officials are still conducting a special accreditation investigation into HISD, with the most severe possible punishment resulting in school board members surrendering their powers to a state-appointed governing team. TEA officials have not provided a timeline for the investigation, which started in January, but Crabill said initial results likely are not imminent. “My best guess is that the state is still several months away from a preliminary report,” Crabill said, while cautioning that he is not directly involved in the investigation. Crabill’s comments came during a wide-ranging question-and-answer session, held at a downtown Houston church, that offered some clarity to residents concerned about the threat of sanctions looming over Texas’ largest school system. In addition to any fallout from the state investigation, HISD likely would lose local control of its school board if any one of four chronically low-performing campuses fails to meet state academic standards this year. Crabill offered no hints as to whether HISD’s school board will fall out of power, telling the crowd it’s too early to predict outcomes of the state investigation or academic performance this year. He reassured those in attendance that an appointed board would hold power for only a few years, gradually transitioning back to a locally elected body. The state-appointed board would be tasked with addressing a narrow set of pressing issues while carrying out the day-to-day functions of a traditional school board, Crabill said. In HISD’s case, the state-appointed board primarily would be tasked with improving student achievement at the lowest-performing campuses, where standardized test scores rank near the bottom in Texas and historical patterns suggest about two-thirds of graduates will not enroll in college. See here, here, and here for the background. My understanding is that the accountability scores should be known by about August or so, meaning that we’ll know by then if the schools that must meet standards have done so or not. As is usually the case with these stories, I’m lost for much to say beyond I hope everything works out. Houston ISD schools covered by the district’s $16 million campus turnaround plan saw modest improvements in the program’s first year — enough to outpace gains reported across the district, but not nearly enough to pull chronically low-performing schools on par with peers. A report published this week by HISD showed the 44 schools included in the turnaround plan, known as Achieve 180, largely exceeded or mirrored district improvements in 2017-18 on several key academic and behavioral metrics, including state standardized test scores, exclusionary discipline rates and participation in more challenging courses. The improvements were reflected in the number of Achieve 180 schools meeting state standard — and avoiding the dreaded “improvement required” label — rising from 18 in 2017 to 33 in 2018. In some areas, however, Achieve 180 schools saw little to no positive movement. Student attendance and chronic absenteeism rates remained stagnant, which district officials largely attributed to the effects of Hurricane Harvey. Out-of-school suspension rates barely moved, remaining three times greater than non-Achieve 180 schools. Highly-rated teachers did not move in large numbers to Achieve 180 schools, unswayed by $5,000 bonuses offered by district officials. In an interview Thursday, HISD’s area superintendent responsible for Achieve 180, Felicia Adams, said district leaders were “pretty satisfied” with the first-year results, especially since some campuses implemented portions of the initiative later in the 2017-18 school year. “These are schools that have been struggling for quite some time. To at least get out of being an ‘improved requirement’ campus was a major gain for many of them,” Adams said. According to the district report, which analyzed student performance in 2017-18 relative to the prior year, math and reading passage rates on STAAR, the state’s primary standardized test, rose about 6 percent in Achieve 180 schools — double the 3 percent increase seen across the rest of the district. The use of in-school suspensions also dropped by about 21 percent at Achieve 180 schools, roughly the same rate as campuses not covered by the initiative. Perhaps most notably, about 8 percent more students in Achieve 180 schools took an Advanced Placement exam last year, while 3 percent fewer students in non-Achieve 180 schools sat for a test. Even with the improvements in STAAR test performance, passage rates at Achieve 180 schools remain roughly 15 percent to 20 percent lower than the rest of the district. In addition, students at Achieve 180 schools passed about 14 percent of their Advanced Placement exams in 2018, compared to 39 percent throughout HISD. Some Achieve 180 schools also fell further behind last year, including four campuses that have failed to meet state academic standards for four-plus consecutive years. That, obviously, is the most important metric right now. The overall improvements are great, and one wonders how much more could be done with sufficient resources and some more time, but either those four schools make standard or the TEA climbs aboard. For all the mishegas at HISD this year, and with the continued uncertainty surrounding the HISD Board, Achieve 180 is worthwhile program that has generated real results. Again, as above, I just hope it’s enough. A state-appointed conservator ordered Houston ISD trustees on Monday to suspend their search for a permanent superintendent, an unprecedented intervention in the state’s largest school district. In a letter sent to HISD trustees, the conservator, Doris Delaney, said she is exercising her legally-authorized power to “direct an action to be taken” by a school board. HISD trustees were days away from naming a lone finalist for the district’s superintendent position, with a final round of candidate interviews scheduled for Monday and Tuesday. Delaney said she is ordering the search suspended “until the agency has completed its special accreditation investigation” into the district. The investigation, which involves allegations of Texas Open Meetings Act violations by five trustees, has been ongoing since January. Trustee Jolanda Jones, who is not among the five trustees under review, also tweeted Monday that the investigation has expanded to include “malfeasance regarding contracts” with vendors, offering no additional details. Texas Education Agency officials said they could not comment on the ongoing investigation. Jones could not immediately be reached for comment. Delaney’s move is a potentially ominous sign for HISD’s school board, which could be replaced by the state later this year due to chronically low performance at a few campuses or potential findings of malfeasance by trustees. If state officials replace HISD trustees, Texas Education Commissioner Mike Morath would have the legal responsibility of choosing the district’s superintendent, with no obligation to keep the school board’s choice. See here and here for some background. On the one hand, I understand where Dr. Delaney is coming from. This investigation is a serious matter, and if it turns out that some number of Trustees were involved in violating the (now less potent) Open Meetings Act, one can make a good case that they have forfeited the right to name a Superintendent. On the other hand, the (resumed) search has been going on for awhile, so maybe she could have said something sooner? I wasn’t sure what to make of that at first, but perhaps this explains it. Texas Education Commissioner Mike Morath sent Houston school officials a letter detailing an expanded role for the conservator, Doris Delaney, according to the news outlet. 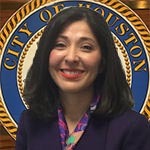 Her duties now include “attending board meetings and overseeing the district’s governance,” according to the letter Houston Public Media posted Monday. You can see the letter here. That seems portentious, but maybe I’m reading too much into it. All I know is that I hope this is wrapped up quickly and favorably. I can’t take any more drama. The Press has more. We’ll have to see how big a deal this is. That law, which imposes basic requirements providing for public access to and information about governmental meetings, makes it a crime for public officials to “knowingly [conspire] to circumvent this chapter by meeting in numbers less than a quorum for the purpose of secret deliberations.” That provision aims to keep public officials from convening smaller meetings — without an official quorum present — to discuss public business outside the view of the taxpayers and the media. Craig Doyal, the Montgomery County judge, was indicted under that statute for allegedly conducting “secret deliberations” — without a quorum of the commissioners court present — about a November 2015 county road bond. Doyal filed to have the charges dismissed, claiming the statute was unconstitutional. The case eventually made it to the Texas Court of Criminal Appeals, which handed him a victory Wednesday. Two judges on the nine-member, all-Republican court dissented. But open government advocates warned that the ruling, while specific to one slice of the open meetings act, importantly undermines its aims. See here for a bit of background on the Doyal case. I don’t know about you, but I have always assumed that Sharon Keller imposes her own judicial views on every appeal she hears. Be that as it may, my first thought on reading this story was whether it might have an effect on the accusations against five HISD trustees who are alleged to have formed a “walking quorum” and met illegally to discuss replacing Superintendent Grenita Lathan. That charge, if justified, represents another reason for the TEA to take over HISD. Unless, I presume, it turns out that what they allegedly did wasn’t actually illegal. As of yesterday, that was unclear. The ruling could impact the Texas Education Agency’s investigation into allegations of Open Meetings Act violations by some members of the Houston ISD Board of Trustees. TEA officials are investigating whether five trustees illegally coordinated ahead of an October 2018 vote to oust Interim Superintendent Grenita Lathan, who took over the position indefinitely in March 2018. The five trustees each spoke with Lathan’s chosen replacement, Abelardo Saavedra, prior to the vote. Some trustees have said they communicated with one other board member about a potential motion to remove Lathan. Trustees ultimately voted 5-4 to replace Lathan with Saavedra, but they reversed the decision several days later following intense public backlash and Saavedra’s decision to back out of the job. Saavedra told the Houston Chronicle he quickly discovered HISD’s issues stemmed from the school board, as opposed to Lathan’s administration. TEA opened a special accreditation investigation in January after receiving “multiple complaints” about violations of the Open Meetings Act. TEA leaders said they are investigating whether trustees were “deliberating district business prior to a regularly scheduled board meeting,” regarding Lathan’s removal. While the notice alludes to misconduct described in the same statute that was overturned Wednesday, TEA officials did not indicate they are investigating HISD based on that statute. Rather, the TEA notice lists the entire chapter of open meetings laws, leaving it unclear whether the investigation rested entirely on the now-invalidated statute. I Am Not A Lawyer and am thus not qualified to assess that possibility, but as a blogger I’m fully capable of speculating about it. My point is that this ruling may well have some odd and unexpected consequences. Greg Abbott says he wants state agencies to “continue to follow the spirit of the law”, whatever that means. I expect that would eventually lead to more litigation, until or unless the Lege fixes the law to satisfy this ruling. Anything is possible, but I tend to bet the under in these matters. Welcome to the mostly post-Open Meetings Act world that we now live in. The Observer has more. Houston ISD’s pursuit of a permanent superintendent will continue after trustees rejected a motion Thursday to suspend the search amid a recently launched state investigation into potential violations of open meetings laws. Trustees voted 5-3 to continue the search for a permanent leader to replace former superintendent Richard Carranza, who left the district in March 2018 to become chancellor of New York City public schools. Three trustees who favored suspending the effort argued the district cannot attract qualified candidates with the looming threat of sanctions tied to the state investigation, while the five opponents argued the district should push forward despite the inquiry. “I promised my community that I would do a superintendent search, and that’s what I’m following.” said HISD Board President Diana Dávila, who voted against suspending the search. The three trustees who supported suspending the search — Wanda Adams, Jolanda Jones and Rhonda Skillern-Jones — have all advocated for permanently retaining Interim Superintendent Grenita Lathan, arguing she has proven her ability to lead the district. The trio of trustees have been highly critical of five board members who secretly communicated with former HISD superintendent Abelardo Saavedra, then voted in October 2018 to replace Lathan with Saavedra. Allegations of open meetings act violations by the five trustees who spoke to Saavedra triggered a special accreditation agency investigation by the Texas Education Agency. The five trustees have denied wrongdoing. Supporters of suspending the search argued the potential for severe sanctions tied to the investigation will limit the pool of candidates willing to jump to HISD. If state officials order the replacement of the HISD board, new trustees could immediately replace the freshly hired superintendent. “I cannot imagine that a highly qualified candidate who is rational and sane would come here in the face of uncertainty, when they may not have a job soon,” Skillern-Jones said. “We all need to figure this out and not continue to be divisive on this subject,” Deigaard said. I mean, as a matter of principle it’s generally a good idea to search far and wide for the best candidate. Under normal circumstances, the HISD job is pretty plum – it’s a big district with a good financial foundation and a lot of high-performing schools, and more than one former Superintendent has gone on to bigger things. For obvious reasons, the job isn’t quite as attractive right now – the search firm says the potential of a TEA takeover has been mentioned by numerous candidates. There’s a good case to be made for Trustee Deigaard’s position of extending Superintendent Lathan for now, and resuming the search later, say in a year or so, when the immediate issues have been clarified, if not resolved. One can also reasonably argue that with so much on the line right now, it’s wiser to leave the Superintendent in place who has been doing the work to get the four schools that need to meet standards up to those standards. By all accounts, the current program for bringing the schools in need up to standard has been working well. I don’t know enough to say that I’d support making Superintendent Lathan permanent at this time, but I’d definitely support keeping her in place for the near term and revisiting the question at a later date. As I’ve said before about all things HISD, I sure hope this works out. The Press has more. How much more danger is HISD in of being taken over? Hard to say for sure, but they’re not in a good place right now. The threat of state takeover has loomed over Houston ISD for months, largely due to chronically low-rated schools and mounting frustration with its much-criticized school board. Now, another factor could give state leaders more reason to pull the trigger: a new investigation into potential violations of open meetings laws by five trustees last year. It’s far too soon to tell whether state investigators will dig up any dirt on the five board members, but the fallout from the disclosure of the investigation is leading to speculation about what sanctions could befall the state’s largest school district. The worst-case scenario for those who want HISD to remain under local control: investigators find extensive wrongdoing that provides cover for Gov. Greg Abbott’s administration to wrest jurisdiction over the board. A special accreditation investigation allows Texas Education Agency staff members to obtain documents and interview witnesses to determine whether school officials violated laws or threatened a district’s welfare. If investigators find one-time or minor missteps by HISD trustees, TEA officials could mandate relatively light sanctions, such as additional training on open records laws. However, more egregious or systemic wrongdoing could allow TEA to lower the district’s accreditation, opening the district to a wide array of escalating sanctions. Given that HISD already is monitored by a state-appointed conservator — one of the most severe interventions at the TEA’s disposal — some district onlookers fear a state takeover of the district’s board could be next. See here for the background. Let’s see what the investigation turns up first. The five trustees have maintained they did nothing wrong and have pledged to cooperate. If they’re right on both counts, then this ought to blow over and I don’t think HISD will be in any more real danger than before. If they’re wrong, to whatever extent, that’s when things get dicey. I tend to agree with Jasmine Jenkins here: The state would, all things considered and Greg Abbott’s mini-Trump tweets aside, rather not take over HISD. They are not equipped to run a big school district, and there’s no empirical reason to believe they will get any better results by stepping in. But the board is on thin ice, and they don’t have many friends in positions of power. If this investigation gives weight to the critics, that could be enough to overcome the resistance. I sure hope it doesn’t come to that. Houston ISD’s four Hispanic trustees took hold of the school board’s top officer positions Thursday, led by Trustee Diana Dávila winning election as president of the much-maligned governance team. Dávila, who has spent a decade on the board spread over two separate terms, will take responsibility for setting the leadership tone in HISD following months of governance strife that has often cut across ethnic and racial lines. Elected officers do not have more voting power than other trustees, but the board president presides over board meetings and drives the agenda. Dávila said her priorities will include ensuring the district’s longest-struggling schools get resources needed to meet state academic standards, fighting for more education funding and restructuring board meetings to foster greater engagement and transparency. “I’m looking to be bringing back some of those things we used to do before, making sure that we respect each other as colleagues on the board and respect the administration,” said Dávila, who served as board president in 2006. The best thing the Board can do at this time is minimize dissension within their ranks, speak with one voice as much as possible, and find a permanent Superintendent. Accomplishing those first two should make the third go more smoothly. This joint op-ed by Rhonda Skillern-Jones and Elizabeth Santos is a good example of what I’m talking about. This board was divided on some high-profile issues last year. The two of us have been on opposite sides on some of those fights. But we are united in a vision for a school district where neighborhood schools are cornerstones of their communities, equity is a guiding principle of resource allocation and all students receive educations that are tailored to their individual learning needs. To achieve that vision, all levels of government involved in making education policy must take a long-term approach that addresses the costs of educating students living in poverty, English language learners and students with special needs. Unfortunately, state funding formulas — which have not changed in 30 years — woefully underestimate these costs. Despite all of this, HISD has fared well under the flawed STAAR regime. The district earned an 84 percent rating with 91 percent of schools meeting standard. We reduced the number of schools that could trigger automatic state sanctions from 52 to 4, and we have maintained a recognized financial rating of 90 percent and a high bond rating. It is baffling that HISD taxpayers are required to foot the entire bill for their district and also forfeit $100 million in “recaptured” dollars — and growing — to supplement the state’s obligation to other districts, while at the same time facing the risk of being stripped of their right to elect their own governing board. That hardly seems democratic or just. Apparently “no taxation without representation” is just something we teach in our history classes. I agree with pretty much everything they say in this piece. I hope over the next eight months – and, ideally, a lot longer than that – we can focus on those things, and not on whatever is going on with the Board. The Houston Independent School District Board of Education is conducting a nationwide search for a permanent superintendent, and trustees are seeking input from the community about the qualities and traits they would like to see in their next district leader. HISD Board of Education trustees have scheduled several meetings to gather feedback from the community that will be used to develop a superintendent candidate profile. The dates and times for the meetings are listed below. In March, Dr. Grenita Lathan was named by trustees as HISD’s interim superintendent. Lathan will continue to serve in that capacity during the duration of the search. The Board of Education has exercised a warranty provision with executive search firm Hazard, Young, Attea & Associates to conduct a superintendent search at no cost to the district. The Illinois-based firm will help trustees host a series of community meetings, including a districtwide meeting on Saturday, Jan. 19, to gather input from various district stakeholders, including parents and students, school-based staff, district employees, and business and community members. The board will then use that feedback to finalize its superintendent profile and begin searching for candidates. Input on the search for HISD’s permanent superintendent can also be provided via an online survey on the district’s website, www.HoustonISD.org. Click over to see the meeting schedule. There’s one in each district, plus at HISD headquarters on West 18th Street just outside the Loop. These run from the 14th through the 24th, so make your plan to attend. I had not known this. For more than a year, Houston ISD leaders have fretted over the possibility of a state takeover mandated under a recently passed law, known as HB 1842. The statute directs the Texas Education Agency to close schools or replace a district’s locally-elected board of trustees if any campus receives five straight “improvement required” ratings for poor academic achievement. Houston narrowly avoided that punishment in 2018, when six long-struggling schools met state standard. Four campuses still could still trigger sanctions this year. However, a lesser-known law quietly has loomed over the district. Texas law states that the education commissioner may replace the school board in a district under scrutiny from a state-appointed conservator for two consecutive years — a threshold Houston crossed in September 2017. Houston’s conservator, former Aldine ISD administrator Doris Delaney, was appointed in September 2016 to monitor Kashmere High School, which has failed to meet state academic standards for nine consecutive years. Her responsibilities expanded to monitoring the district’s school board and other long-struggling schools in mid-2017. In a statement, TEA spokeswoman Ciara Wieland said Abbott and Morath are working in concert to help Houston. “Any action taken by Commissioner Morath or TEA to ensure Houston ISD has been given ample time, resources and support to achieve the best outcomes for students has also come with the full support of the governor and is in alignment with their shared vision of improving education outcomes in the district,” Wieland said. Here’s the Chron story about Delaney’s appointment in 2016. This story from July of last year mentions that she had been appointed in January to keep an eye on district governance and the then-10 turnaround schools. I’m a little surprised no one has made anything of this before now, but here we are. It should be clear why the state has been reluctant to step in, despite Greg Abbott’s nasty tweet. If the TEA takes over, then the TEA owns all of the problems that HISD is trying to solve. That’s a much tougher task than their current advisory role. I strongly suspect that Mike Morath and the TEA really really want the four schools to meet standard this year, in part because they want the schools and the kids to succeed, and in part because they really really don’t want to be saddled with the job of running a massive, diverse, sprawling school district. That’s not their job, and there’s nothing in the track record of past takeovers by state agencies, here and elsewhere, to suggest they’ll do any better at it than HISD has done. There’s a reason why Abbott hasn’t had much to say about this since his Trumpian Twitter moment. By far the best possible outcome is for these schools to meet standard this year. The question that matters is what can everyone do to help make that happen. I have four things to say about this. A post sent from Texas Gov. Greg Abbott’s Twitter account Thursday lambasted Houston ISD’s leadership as “a disaster” that has failed children in the state’s largest school district — a rare public condemnation of the district from the state’s top executive. The comments come as HISD faces potentially major sanctions, including a state takeover of its locally elected school board, tied to chronically low academic results at four schools. They also come as HISD’s board of trustees has been bombarded with criticism in recent months for its acrimonious public displays and its widely-panned effort to covertly oust Interim Superintendent Grenita Lathan. The post linked to a commentary authored by three community members and printed in the Houston Chronicle that criticized Houston Mayor Sylvester Turner’s efforts to partner with HISD to operate several long-struggling schools. The authors of the commentary also argued for taking legal action against the Texas Education Agency to prevent a state takeover of HISD’s board of trustees. Abbott’s education commissioner, Mike Morath, must replace HISD’s school board or close underperforming schools if any one of four long-struggling campuses fail to meet state academic standards in 2019. Earlier comments by Morath and his deputy commissioner of governance, AJ Crabill, suggest Morath is more likely to install a replacement school board instead of shuttering any under-performing schools. 1. Just a reminder, the HISD Board is composed entirely of Democrats right now. Throwing them out of office is all dessert and no vegetables as far as Abbott is concerned. 2. Along those lines, remember that Abbott was just re-elected by over a million votes. He’s got the highest approval rating of any statewide elected official. He doesn’t face voters again until 2022. He could not possibly care less what a bunch of Pantsuit Nation or Indivisible members think, about this or about himself. There is no amount of activism or noise-making that will affect his opinions or his actions. 3. Again, this is why I have been extremely queasy about the all-or-nothing strategy that HISD has adopted, at the urging of some activists. I continue to believe that a TEA takeover is the worst possible outcome, and a partnership – if not with the city of Houston, then with HCC, which was never explored and now cannot be explored – for the purposes of forestalling such a takeover is a reasonable way to mitigate this risk. I understand that people have strong objections to this. I’m not here to relitigate that question, as the matter is settled. I’m just stating what my risk-averse nature is telling me. But look, none of this matters now. We’re not going to win a staredown with Abbott over this. He holds all the cards. 4. As for the litigation idea, someone is going to need to explain to me 1) on what grounds we would sue at this time, prior to a takeover, and 2) why a lawsuit filed in advance of a TEA takeover would be allowed to proceed. A lawsuit filed afterwards I understand, as then an alleged injury that the courts could correct has occurred. But before that, I feel confident that a motion to dismiss on the grounds that the issue is not ripe and no one yet has standing would be accepted. As always, I Am Not A Lawyer, so if someone knows better than me on this, please say so. The Trib has more. Houston ISD trustees narrowly voted Thursday to not seek proposals from outside organizations to run long-struggling schools, a decision that keeps those campuses under local control but sets the stage for a possible state takeover of the district’s school board. Barring an unexpected legislative or legal change, four HISD schools now must meet state academic standards in 2019 after missing the mark for four-plus consecutive years to stave off major state sanctions against the district. If any of those four schools fail to meet standard, the Texas Education Agency is legally required to replace HISD’s entire school board and appoint new members, or close still-failing schools. HISD could have preempted any punishment for two years if the district temporarily surrendered control of the four schools to outside groups. TEA leaders have previously said they do not see closing schools as a strong option for improving student outcomes, though they have not committed to either option. In a 5-4 vote following about an hour of debate, interrupted several times by community members who vocally opposed seeking partnerships, trustees opted against directing Interim Superintendent Grenita Lathan to issue a request for proposals to take control of an undetermined number of campuses. The four campuses that have repeatedly failed to meet state standard — Highland Heights Elementary School, Henry Middle School, and Kashmere and Wheatley high schools — would have been considered for partnerships. Trustees Wanda Adams, Diana Dávila, Jolanda Jones, Elizabeth Santos and Rhonda Skillern-Jones opposed seeking proposals. Trustees Sue Deigaard, Sergio Lira, Holly Maria Flynn Vilaseca and Anne Sung supported the option. Well, now Mayor Turner can quit pursuing the partnership plan he had proposed. At this point, either the four schools meet standards or we will say goodbye to the Board of Trustees for some number of years. I don’t foresee a bill getting passed to change the law that mandates the consequences, though that is a possibility that is worth pursuing because there’s nothing to lose and much to gain. While I expect there will be litigation over a state takeover – if nothing else, a Voting Rights Act lawsuit over the disenfranchisement of HISD voters seems likely – that kind of action can take years and is highly unpredictable. So it’s basically up to the students and parents and teachers and administrators at those four schools now. I wish them all the very best. The Press has more. A nonprofit formed by city of Houston leaders may seek temporary control of up to 15 Houston ISD campuses in neighborhoods with historically low-performing schools, Mayor Sylvester Turner said Tuesday. The nonprofit, created by Turner’s education czar and led by Turner-appointed board members, marks the city’s effort to improve academic performance at chronically low-rated schools while helping HISD stave off state sanctions tied to academic failures at some of those campuses. The director of Turner’s Office of Education Initiatives, Juliet Stipeche, unveiled several details about the nonprofit for the first time last week in an interview with the Houston Chronicle. In a press release Tuesday, Turner added two new pieces of information to the nonprofit’s plans: The organization is eyeing control of as many as 15 schools, and six people likely will be added to the nonprofit’s current three-person governing board. The campuses likely would be clustered in a few geographic areas, where elementary and middle schools funnel students to the same high school. Turner did not name specific schools under consideration. HISD administrators and trustees have shown little appetite for relinquishing control of district schools, though that could change as a February 2019 deadline for submitting partnership plans to the state approaches. Trustees are expected to consider and possibly vote Thursday on authorizing Interim Superintendent Grenita Lathan to issue a request-for-proposal seeking potential partners, according to the posted board agenda. Lathan has said she does not believe members of the public want outside organizations running campuses, and trustees have offered relatively little public support for the idea to date. As HISD officials have spent the past few months making few moves on the private partnership front, Stipeche and other civic advocates have worked to form a nonprofit capable of operating HISD campuses. They have worked at the behest of Turner, who has advocated for avoiding a state takeover of HISD’s school board. It is widely believed that Texas Education Agency leaders, who would decide which sanction to impose if one of the four campuses fails to meet standard, would prefer to replace HISD’s school board rather over close schools. The group ultimately formed a nonprofit in late November called the Coalition for Educational Excellence and Equity in Houston. City officials have not released a proposal or framework for their plans to operate HISD campuses, though Stipeche said she envisions “working through a collective-impact approach to lock arms with the community, to reimagine what we can do to support our schools.” The nonprofit’s leaders have not held public meetings, though engagement with the effected communities would take place if discussions with HISD turn more serious, Stipeche said. See here for the previous update, and here for the Mayor’s press release. I really hope HISD will indicate ASAP what their preferred direction is for this, because if the city is wasting its time it would be best to know that quickly. If not – if there is a chance this could become a viable partnership in the event something like it is needed – then the Mayor and the powers that be at CEEE need to get moving with that community engagement, because there’s already a loud group of people steadfastly opposed to the idea. I may be overestimating their presence – I mostly see this activity on the same Facebook group pages that were busy organizing and canvassing for the 2018 election – but it’s also possible that the Mayor is underestimating it. Better I be wrong than he is. Could be a decent deal. I mean, it’s worth hearing him out, if the other end of the bridge is an intact HISD with the four schools in question meeting standards. I can understand why some trustees might be leery of this, but it can’t hurt to hear the pitch. It would also be a good idea to let parents and teachers hear what Crabill has to say, since they’re going to be directly affected by whatever he might have in mind as well. See what he has in mind, and go from there. We’re no worse off if we decide to say “thanks, but no thanks”. Don’t take too long on this. After months with little public discussion about whether to temporarily surrender control over four long-struggling schools, Houston ISD officials are expected to start ramping up talks about any such plans as state-mandated deadlines quickly approach. HISD administrators and trustees said they will meet after the Thanksgiving holiday to consider how they will approach the possibility of giving up control of the four campuses, which would stave off major state sanctions tied to chronically low academic performance at the schools. The politically fraught option drew backlash from some community members in the spring, when trustees did not vote on Interim Superintendent Grenita Lathan’s recommendation to give control of 10 campuses to a local charter school network, but district leaders say they remain open to employing the option before an early February 2019 deadline. To date, administrators and trustees have not had extensive public conversations about if and how the district would approach surrendering control of the four campuses — even though the two sides have known since mid-August that HISD potentially faces sanctions if those schools remain under district authority. If HISD does not hand over control of the four schools to an outside organization, and if any one of the four fails to meet state academic standards in August 2019, the Texas Education Agency must close campuses or replace the district’s school board. Trustee Elizabeth Santos, who generally has opposed private partnerships, said HISD administrators and board members should have more transparent discussions after remaining relatively quiet over the past few months. See here and here for some background. I agree with Trustee Santos, we need to get this show on the road. There are options, beyond the optimal one of bringing all four schools up to standard, that would satisfy the law and avoid excessive intervention by the state. If the intent, with which I largely agree, is to also avoid partnering with a charter school, then the previously explored possibility of teaming up with a city-run non-profit, or the not-as-far-as-I-know-explored potential for a pair-up with HCC should be on the table. Even more fundamental than that, the parents and teachers and students in the schools that are at risk need to be engaged so HISD isn’t caught flat-footed by the response to their actions. HISD needs to get everyone who has a stake in this involved, listen to what they do and don’t want, and lead the way in finding the best path forward. Sooner rather than later would also be appreciated. Trustees are expected to announce Monday that interim superintendent Grenita Lathan will remain at the helm of the Houston Independent School District, an attempt to diffuse fallout from a contentious 5-4 vote last Thursday that was preceded by shouting matches and accusations of racism from board members. After a six-hour discussion during a weekend retreat Sunday, trustees and Abelardo Saavedra – who led HISD from 2004 to 2009 and was to return Monday as the district’s new interim leader – mutually agreed that he would withdraw, Saavedra said. “It became apparent to me that the dysfunction is not at the superintendent or leadership level, it’s at the board level,” Saavedra said, adding that he was unaware the move to hire him was going to catch some board members by surprise. Lathan is expected to return as the interim leader of the nation’s seventh-largest school district while a search continues for a permanent superintendent. District officials said late Sunday that trustees would “discuss the recent vote to make changes to the interim superintendent’s position” at a 5 p.m. Monday press conference, but offered no further details. Bob Sanborn, CEO of the nonprofit Children at Risk, said he believes Lathan remaining in her role is good for students, but he said the damage that has been done cannot be reversed by the trustees simply standing together at a press conference. See here for the background. If you’re feeling dizzy, you’re not alone. I have no idea what is going on with the Board, but good Lord they need to get it together and work as a unit rather than as factions. None of this should have happened. Still a lot of work to be done. Houston ISD’s quality of special education services remains in “grave” shape due to inadequate staffing, confusion among employees and a lack of accountability, according to a district-appointed committee reviewing the quality of programs provided to students with disabilities. In a draft report expected to be presented to HISD trustees Thursday, members of the district’s Special Education Ad-Hoc Committee said the district needs to better address its many shortcomings and school board members should provide more oversight of efforts to improve delivery of special education services. The committee, comprised of district leaders, special education experts and HISD parents, has been meeting since February 2017, in response to a Houston Chronicle investigation that found a years-long pattern of Texas school districts — including HISD — denying access to special education services. The committee’s 11-page draft report, which is expected to undergo some revisions before Thursday, echoes many of the findings documented earlier this year in a third-party review by American Institutes of Research. The nonprofit found HISD needed more staff members dedicated to special education, better clarity about delivering services to students and clearer systems for carrying out essential programs for students with disabilities, among other areas of improvement. The committee is expected to issue several recommendations to HISD’s nine-member school board. They include ordering HISD administrators to issue a detailed response to the American Institutes of Research report and mandating regular reports to trustees about the district’s plans for improving special education services. “It’s going to take years of persistence and commitment to special education to get the district to where we want it to be,” said HISD Trustee Anne Sung, who chaired the committee. Kara DeRocha, an HISD parent and special education advocate who sat on the committee, said district leaders need a consistent, detailed and well-managed plan to satisfy long-frustrated families. See here for all previous blogging on the topic. HISD had embraced the state’s artificial limits on special education in the past, and then-Superintendent Carranza set up the review of the district’s practices last January. The state is also working on a reform plan, but all these things will cost money. I agree with Kara DeRocha that the devil is in the details, but look at the budget appropriations first. It remains to be seen that the Lege will deal with this in an adequate manner. As we know, HISD has been in danger of sanctions from the TEA, which could include a state takeover of the district, because of several schools that had rated as “improvement needed” for multiple years in a row. They managed to avoid that fate for this year as most of its schools were granted waivers due to Harvey, while the schools that weren’t exempted met the mandated standard. Next year, however, the schools that received waivers will have to measure up or the same sanctions will apply. As a result, local officials are planning ahead for that possibility. Local civic leaders are considering whether to form a nonprofit that could take control of several long-struggling Houston ISD schools in 2019-20, a potential bid to improve academic outcomes at those campuses and stave off a state takeover of the district’s locally elected governing board. Members of Houston Mayor Sylvester Turner’s administration, education leaders and prominent philanthropic and business organizations have convened periodically over the past few months to research and sketch out frameworks for a nonprofit capable of governing some HISD campuses. The discussions remain preliminary — no plans or proposals have been formulated — but local leaders say they their efforts will become more urgent and public in the coming months. The nonprofit would partner with HISD through a recently passed state law commonly known as SB 1882. Under the law, school districts temporarily can surrender control over campuses to an outside organization — including a nonprofit — in exchange for a two-year reprieve from state sanctions tied to low academic performance, an extra $1,200 in per-student funding and some regulatory breaks. If HISD does not engage in an outside partnership this academic year at four chronically low-performing schools this year, the district risks state sanctions in 2019 if any of the campuses fail to meet state academic standards. Juliet Stipeche, the director of education in Turner’s administration, said a nonprofit “seems like the wisest catalyst” for a potential private partnership with HISD. Stipeche, an HISD trustee from 2010 to 2015, is among the lead organizers of early talks about a nonprofit. Houston-area leaders involved in talks about forming a nonprofit for an HISD partnership said many questions remain answered: Who would serve on the nonprofit’s governing board? How would board members be chosen? How would community members engage in the nonprofit’s formation? Who would manage day-to-day campus operations? Which schools would fall under the nonprofit’s purview? To gain support for a private partnership, local leaders will have to clear several hurdles. They likely will have three to six months to craft governance plans and an academic framework for campuses, a relatively short time frame. They will have to get buy-in from several constituencies that often clash politically, including HISD trustees, school district administrators, teachers’ union leaders and residents in neighborhoods with schools facing takeover. The TEA also would have to approve any proposals. See here for some background, and here and here for what happened when HISD looked at this kind of solution earlier this year. I guess the first hurdle I’d like to be cleared is an answer to the question of how any theoretical partnership will help these schools succeed beyond what HISD has been able to do with them. In some sense this doesn’t matter since this is one of the options that the Lege mandates, and it’s the option that retains the most local control, which I agree is the better choice. There’s also the option of persuading the Lege to make some changes to SB 1882, which is something that Rep. Garnet Coleman has been talking about. Let’s focus on the bigger picture of getting the best outcome, and go from there. Houston ISD will avoid major state sanctions for at least one year after four of its longest-struggling schools met state academic standards this year, according to preliminary results released Wednesday. The announcement ensures the Texas Education Agency will not replace HISD’s locally elected school board in the coming months or close campuses that repeatedly have failed to meet academic standards before the 2019-20 school year. Under a new state law, commonly known as HB 1842, the TEA would have been required to implement one of the two sanctions if any of the four HISD campuses received another “improvement required” rating this year due to substandard academic performance. The four HISD campuses that made standard to avoid triggering sanctions are Mading and Wesley elementary schools, Woodson PK-8 and Worthing High School. Each of those four had failed to meet standard for four to six consecutive years prior to 2018. Although HISD will avoid sanctions this year, the threat of state-imposed punishment likely will loom throughout the 2018-19 school year. Four low-performing HISD schools likely will risk triggering sanctions next year if they fail to meet academic standards when results are released in August 2019. Those four campuses are Highland Heights elementary schools, Henry Middle School, Kashmere and Wheatley high schools. In an interview Wednesday, TEA Commissioner Mike Morath praised HISD’s accomplishment while cautioning more work needs to be done in Texas’ largest school district. See here for some background. As noted, the schools that qualified for Harvey waivers will need to be up to standard next year or the same sanctions will apply, but at least that gives the district another year to get there. Getting these found schools up to standard is a laudable accomplishment, and an encouraging sign that what the district had been doing has been working. Kudos to all, and let’s keep up the good work. The Trib has more. I’ve been sitting with this for a couple of days, and ultimately decided it was not worth much more than a shrug. Former Houston ISD superintendent Richard Carranza did not mince words in an interview published this week about his disappointment in HISD’s failure to pass major reforms he championed during his 18-month tenure, suggesting the district lacked the appetite for changes that would boost outcomes for lower-income and minority students. “As soon as I left, it seemed like people just didn’t have the stomach to take the fight,” Carranza, who left to become chancellor of New York City public schools in April, said in an article published by The Atlantic. In a couple of parting shots four months after leaving from Houston, Carranza told the news magazine that HISD leaders have resisted changes that would benefit historically underserved students, creating inequitable access to quality education among students from all backgrounds. His comments cut to key questions about the district’s dedication to impoverished and minority students, while also raising the specter that Carranza’s abrupt departure contributed to the proposals stalling. In The Atlantic article, which largely focused on his immediate reform efforts in New York City, the 51-year-old lamented HISD’s current campus funding model and the geographic layout of its magnet schools, which he said have favored students from more affluent and white backgrounds. In the months before his departure, Carranza proposed shifting toward a more centralized funding model that largely would benefit schools in lower-income and predominantly black and Hispanic neighborhoods. The district also was dealing with a large budget deficit and contentious plans to surrender control over 10 chronically low-performing schools, prompting a few trustees to question whether HISD was tackling too much at one time. Interim Superintendent Grenita Lathan ultimately shelved the plan a month after Carranza announced his move to New York, pledging a committee to study the district’s resource allocation methods. That committee is scheduled to meet in private for the first time on Aug. 7, with recommendations provided to HISD administrators by December. Forty members have been invited, though not all have committed to date, HISD officials said. HISD trustees largely have agreed the district’s magnet school system needs reform, but they have been unable to agree on the extent of needed changes. Various community factions also have been divided on whether to tweak the system, including a vocal grass-roots group that lobbied against Carranza’s proposal this year. Carranza’s proposals, which as Skillern-Jones rightly notes were more big picture ideals than detailed plans, did run into resistance, but then all big changes do. You need to put in a lot of effort and resources to show what will happen and why it will be better and what the short-term costs will be and just generally educate, engage, and get buy-in from an array of stakeholders who will be directly affected and may have concerns about things you hadn’t thought of. It’s certainly possible that the resistance will be too fierce to fully overcome and that what ends up getting implemented is a series of patches and compromises and watered-down versions of your original vision, but that’s the way it goes sometimes. I’d be more inclined to take Carranza’s complaints seriously if he’d been in town longer than five minutes and had done some of the real work that was and still is going to be needed to make such big changes. Several of Houston ISD’s longest-struggling elementary and middle schools posted significant gains on state standardized tests in 2018, including all three campuses that must meet Texas academic standards this year to avoid triggering major sanctions, according to preliminary data released this week by the district and the Texas Education Agency. District leaders are “hopeful” those strong gains will be enough for HISD to stave off campus closures or a state takeover of its locally-elected school board when final results are released in mid-August, a top HISD administrator said this week. At the same time, a few of the district’s chronically underperforming schools appear less likely to meet state standards this year, putting HISD at risk of punishment next year if those campuses do not show immediate improvement. The largely positive results offer another glimmer of hope for HISD as it seeks to avoid state intervention tied to its failure to improve performance at its lowest-performing schools in recent years, a possibility that has roiled the district for months. District officials already were buoyed by an earlier release of preliminary data, which showed strong gains in grades 5 and 8, as well as high schools. The latest data include results for grades 3, 4, 6 and 7, providing a fuller picture of elementary and middle school performance. Headed into the 2017-18 school year, 10 HISD schools had to meet state academic standards to avoid triggering sanctions after receiving at least four straight “improvement required” annual ratings. However, it is expected six of those schools will receive a one-year academic accountability reprieve due to Hurricane Harvey, leaving four campuses — Mading and Wesley elementary schools, Woodson PK-8 and Worthing High School — at risk of triggering punishment this year. HISD administrators said they cannot yet conclude whether those four campuses will meet standards before Aug. 15, when the state makes it official. However, after analyzing the available test scores and reviewing Texas’ revised accountability system, district staff are cautiously optimistic all four campuses will shed the “improvement required” label. See here for the background. Obviously, I hope they make it, but even if they do there will still be next year to contend with, as the schools who qualify for the waiver will need to be up to standard by then, so there’s no time to relax. We’ll know the answer in a few weeks. In the end, they took what they initially rejected. Houston ISD trustees unanimously passed a $2 billion budget Monday that is nearly identical to the one they narrowly rejected two weeks ago, signing off on significant cuts and agreeing to draw as much as $17 million from the district’s rainy-day fund. At an hourlong early-morning meeting, trustees said they wanted to pass balanced budgets after back-to-back years of dipping into reserves, but they ultimately approved the spending plan ahead of a June 30 deadline. The approved budget calls for about $83 million in spending cuts, which will result in hundreds of layoffs of support service staff. Hundreds of teaching positions also will be eliminated, but HISD administrators said they expect the vast majority of those jobs will be cut through attrition. The budget includes about $17 million in new spending on dyslexia services, special education, the district’s plan for low-performing campuses and a comprehensive outside performance review. Trustees shaved about $1.5 million off the projected shortfall in recent days by choosing to use the state’s Legislative Budget Board for the performance review instead of a third-party vendor. Trustees approved a budget last year that used $106 million in reserves to cover a shortfall and pay for raises ranging from 2 to 4 percent for many staff members, though they ultimately used less rainy-day money than expected. At the June 14 budget meeting, several trustees said they were reluctant to tap reserves again, even on a smaller scale. Administrators built the plan assuming a 1 percent increase in property values, but the Harris County Appraisal District expects HISD to see a 2 percent increase. Concerns about property appraisal appeals related to Hurricane Harvey led to the conservative projection. HISD is expected to have about $275 million in reserves at the end of June, equal to about a month and a half of operating expenses. District officials have recommended keeping at least 3 months’ worth of operating expenses in reserve to cover emergency costs. See here for the background. They could have done this last week, but it was definitely more exciting this way. In all seriousness, I get the urge to not want to dip into the reserve fund again, but 1) given the justifiably conservative revenue estimates that the district will almost certainly exceed, they probably won’t need to, and 2) sometimes the alternatives are worse. This was one of those times, so good call on taking the original path. The Press has more. Some good news we could all use. One year into Achieve 180, early results show marked improvement at many of the district’s chronically underperforming schools. After years of falling behind academically, the 42 schools covered under HISD’s targeted improvement plan reported, on average, about twice as much academic growth as students across the state and district, according to preliminary state standardized test scores released in recent weeks. In interviews and presentations over the past month, HISD administrators heralded the early results as evidence the district is raising achievement in schools that long have ranked among the worst in the region. Several of those schools have drawn additional scrutiny as the district faces potentially major sanctions — either a state takeover of HISD’s locally elected school board or forced campus closures — if they do not immediately improve. HISD did not earn an A-plus across the board — English test scores at its longest-struggling high schools barely moved, and parts of the Achieve 180 plan fell flatter than expected — but the results were enough to raise spirits in a district besieged by the threat of sanctions tied to poor academic performance. CJ Rodgers, the principal of a Chicago Public Schools turnaround campus affiliated with the Academy For Urban Leadership, a nonprofit that helps operate low-performing schools in the city, said it is common for test scores to rise immediately when chronically struggling campuses receive intensive support. HISD leaders have said they want Achieve 180 to last at least three years, and the district’s proposed budget included an additional $3 million for the plan this year. Trustees rejected the budget proposal on June 14, though they are expected to vote on a revised proposal this week. However, it also is possible Achieve 180 gets short-circuited in the coming months. Under a law passed in 2015, four of HISD’s longest-struggling schools must all meet state academic standard this year to avoid the Texas Education Agency replacing HISD’s school board or closing still-failing campuses. TEA leaders have not committed to which sanction they would impose, but their public comments suggest replacing the school board is more likely. New trustees could decide to hire a new superintendent who scraps some or all of Achieve 180. I would hope that whatever happens with the TEA, Achieve 180 is allowed to continue. Seems to me that if a program like this can get this kind of result at long-struggling campuses, the state would find it in its interest to help fund similar programs elsewhere. Maybe someone should ask Greg Abbott and Dan Patrick about that. Be that as it may, I’m glad to see the good results, and I hope we are all committed to seeing them continue. In the end, it’s the success of the students that really matters. Houston ISD Trustee Jolanda Jones publicly aired personal attacks and allegations against fellow school board members in online posts this week, chipping away at the board’s efforts to present a more collegial front in the face of administrative upheaval and potentially major state sanctions this year. In three Facebook posts, Jones alleged a newly elected trustee called a longtime board member a “thief” and a “crook” with “no moral character,” and she accused a fellow trustee of misleading her during the process of electing a school board president. Jones also claimed five trustees who rejected HISD’s proposed budget last week will be responsible for employees losing their homes — even though board members are expected to pass the budget next week, with no adverse impact on staff members. You can click over and read the rest; I don’t care to litigate any of it. I’m just going to say this: For the first time ever, as of last November, the Board is comprised entirely of Democrats, with (I believe) a majority of members elected with the support of the local AFT. Even if the Board were firing on all cylinders, the current partisan makeup would present as a tempting target for the state for takeover, given the issues with the low-performing schools. But at least a high-functioning Board, whose membership is two-thirds new since 2015, would have a compelling argument to make that they deserve a little more time to make progress on the problem. With the way things are now, who’s going to stand in their defense when Mike Morath picks a new Board to replace them? It’s never boring over there. Houston ISD trustees narrowly rejected the district’s proposed $2 billion budget, did not move forward with making Interim Superintendent Grenita Lathan the district’s permanent leader and voted to end the employment of acclaimed Furr High School Principal Bertie Simmons during an eventful meeting Thursday. In a surprising split, board members voted 5-4 to reject the budget proposal after several trustees expressed concern about using $19 million from HISD’s rainy-day fund to cover a shortfall. Trustees had voiced little public opposition to the budget until Thursday’s meeting. Trustees now have until June 30 to comply with state law and pass a budget for 2018-19. HISD administrators are expected to present a revised budget proposal in the coming days. A date has not been set for the next board meeting. HISD’s budget has been subject to intense scrutiny since January, when district administrators forecasted a deficit of about $200 million. Administrators revised their projections after receiving a sunnier revenue outlook in recent months, cutting the expected deficit in half. They proposed slashing about $83 million in spending — which would result in hundreds of layoffs — and using $19 million from the rainy-day fund to cover the remaining shortfall. Until Thursday, much of the discussion surrounding HISD’s proposed budget had centered on the distribution of cuts. At several public budget meetings in recent months, trustees gave no indication that they would reject the proposed budget because it used rainy-day funds. But several trustees on Thursday said HISD needs to stop using reserves to balance its budget. 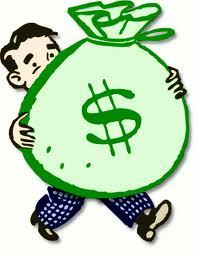 Last year, board members voted 8-1 to take $106 million from the district’s rainy-day fund to cover its deficit. The proposed budget already contained a lot of cuts, as this earlier Chron story details. If the concern is about using $19 million from the reserve fund, then either they’ll have to find money elsewhere or cut some more. That doesn’t sound great, but I’m not sure how they can accomplish the former, so options – and time – are limited. The Press has more. Houston ISD trustees are expected to vote Thursday on whether to establish a district holiday in honor of César Chávez and Dolores Huerta, two iconic labor activists who helped win greater rights for farm workers across the country. The holiday would mirror Martin Luther King Jr. Day in January, when districts across the region do not attend classes in remembrance of the civil rights leader. HISD Trustee Holly Maria Flynn Vilaseca, who brought forward the resolution to establish the holiday, said the district should recognize Chávez and Huerta for their pioneering work on behalf of Hispanics. About 62 percent of HISD’s roughly 214,000 students are Hispanic. “We should definitely honor those who have come before us that really fought for freedom and doing what’s right,” Flynn Vilaseca said. If approved, HISD’s holiday for Chávez and Huerta would be on the Monday that falls on or precedes March 31. It would start in 2020, as HISD already has established its 2018-19 academic calendar. Flynn Vilaseca said she didn’t know whether HISD would add one day to its academic calendar or minutes to the school day to make up for lost instructional time. As the story notes, other school districts including Fort Worth ISD have done something similar. I don’t have a problem with the idea – Chavez and Huerta are more than worthy of the recognition – but I do have a practical concern. Given that this wouldn’t be a holiday outside of HISD, this has the potential to leave a lot of parents without a good child care option on that day. (The same is true for MLK Day, as many businesses don’t close for it.) That doesn’t need to be insurmountable, but it would be nice to get some feedback from the public before a decision is made. I don’t know how much they’ll get if they’re voting on Thursday, but we’ll see.